Yesterday, when it was slowly getting darker, I stood in our kitchen, leaned out of the window to enjoy the wind and looked to the right. Then I saw a garden, decorated with these coloured lights. 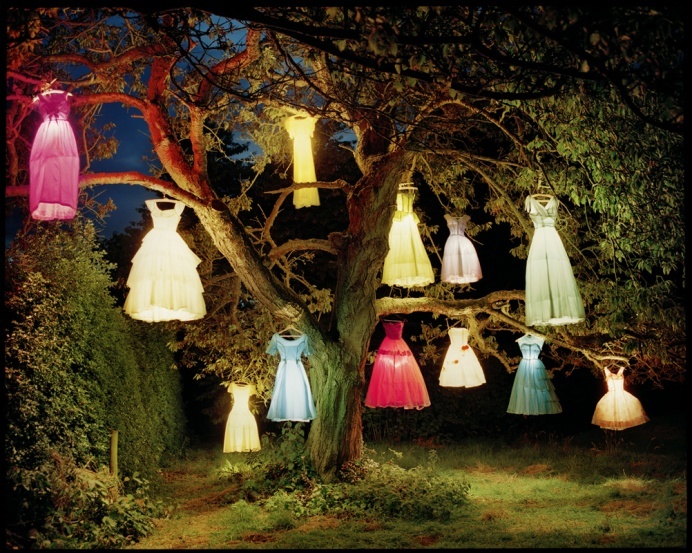 It looked so cosy and nice, really a place you’d like to spend many warm evenings.It reminded me of this picture by Tim Walker. He’s a great photographer, always creating fairytale worlds. And this specific atmosphere is so promising and soothing and I would like to be in such a place right now. Just at ease, with a glass of wine and friends all around and the feeling that magic is going to happen! Just one second in no man’s land, on the edge between dull reality and glittering illusion. Ready to run, but for just one more second waiting, waiting, until the music starts to play. Darkness. Silence. A deep breath for courage, a last adjustment of your clothes- and there you go. Off the deep end. A few weeks ago, my dance school had its dance show. I participated in three choreographies and for one of them, I had to wear a purple tutu. With pink fake diamonds. At first, it felt a bit all too glittery, but as soon as you walk on stage in those, you feel awesome. I enjoyed it, the performing, the clothes, the music, everything. Shows have their very own atmosphere – think hairspray, water, sweat and the mess backstage. There is no feeling like being backstage at a show. We sat in the wings, watching the people on stage performing. We get to see things no one sees: the spotlights at the sides, the back of the curtain, the stage when it’s empty. 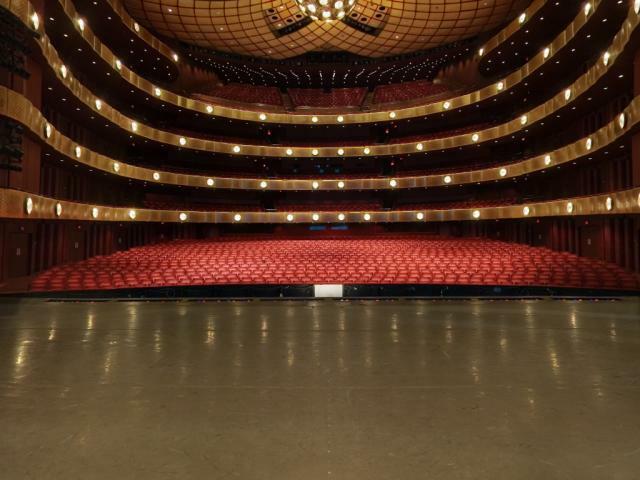 It’s a promising sight, you know, an empty stage, or a stage that’s being prepared. It feels good to be a part of the ‘elite’ that gets to see this. And it feels like magic could happen. Add some lights, add some music and dancers, and there you go: a perfect illusion. A veil of beauty over everything. A stage is a chance to be different, to let go of everything, it’s just a chance. And you can feel that when you are about to walk/run/jump on stage. That silent second in the wings, right before crossing the border, the moment I described above- it’s the moment you know you’re going to make that magic happen (or at least, you hope so). Though I didn’t really have stage fright anymore, you can still feel the tension. You’re out there, you know, and everyone is watching you. My god, how I loved it. I was never tired of doing it, not even when repeating it over a thousand times in class. I still get goosebumps when I see the performance on DVD. It wasn’t the only beautiful dance I’ve been in. My dance teacher can make the greatest modern pieces you can imagine. It almost feels like an honor to be in one. You all know I love dancing, but it’s hard to describe that feeling. It’s hairspray and warming up behind the scenes, it’s the back of the curtain, the music of the first act starting to play, the second before you enter stage and the music lugging you along. Something like that. And once on stage, you become that illusion, a smile, a character, and no one (not even you) cares about anything happening behind the scenes. You are meant to be nothing but beauty, the spotlights on you and the rest darkness – because once on stage, the outter world doesn’t matter anymore.